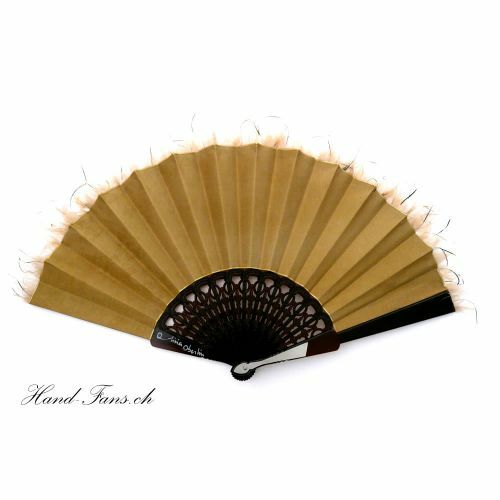 Hand Fan Suelo Shantung. Handmade French Hand-Fan from Olivia Oberlin - the master of hand-fans (FAZ) - of highest quality. 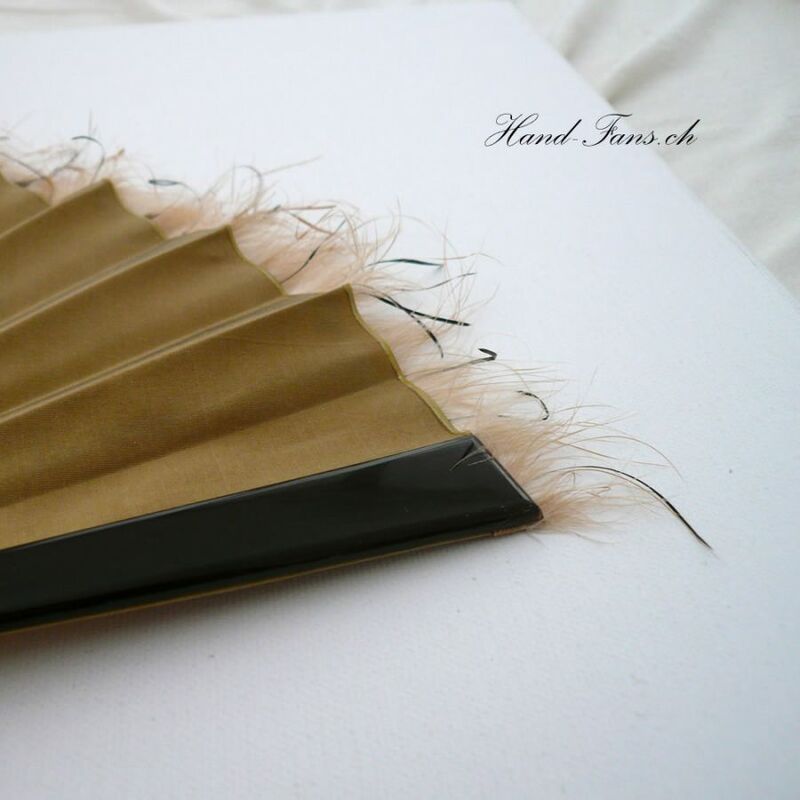 Strong, gold-colored Shantung-Silk, decorated with down-feathers at the end cover noble processed frames to create a masterpiece. 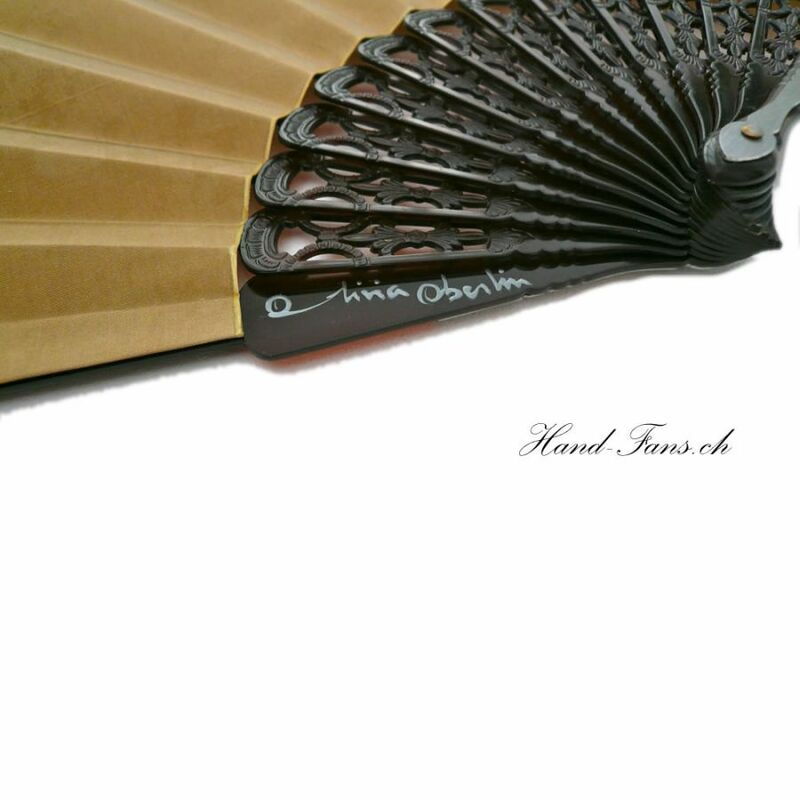 A hand-fan of European quality with modern materials and with design and traditional style of hand-fans combined. 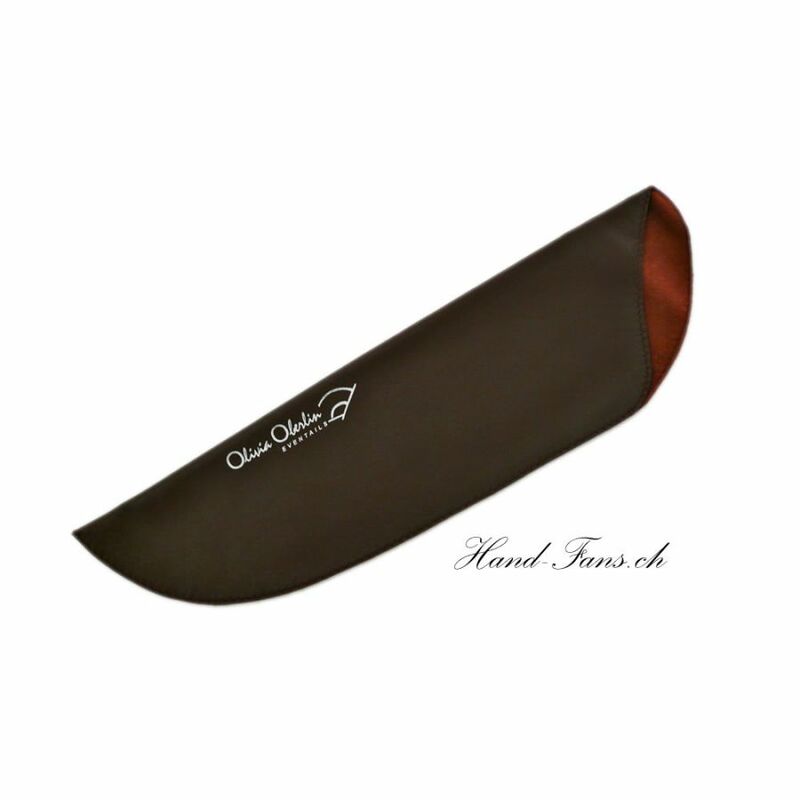 All hand-fans are manufactured by Olivia Oberlin, handcrafted in small batches, so that you can be almost certain to have a single piece. The fan comes in a neat box and a hand-crafted leather case. 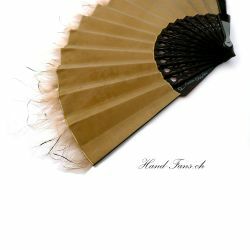 Color: High-quality plastic with cutted ornaments, strong, gold-colored Shantung-Silk decorated with down-feathers at the end.